Find and read all the latest Disneyland Resort Express reviews from fellow bus travelers. 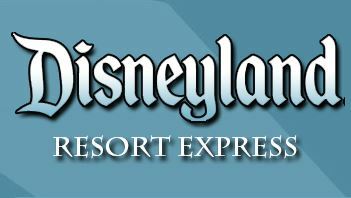 These verified Disneyland Resort Express reviews have been submitted from real customers who booked their Disneyland Resort Express tickets on GotoBus.com. The customer reviews evaluate Disneyland Resort Express service by rating different aspects such as the bus cleanliness, punctuality, staff and bus comfort. We hope you find them helpful! Find out more about the GotoBus customer reviews program - we look forward to your review! The driver is very professional & helpful. Gave it a try. 30 bucks to Anaheim from LAX no brainer!! Bus was clean and employees were awesome. Will definitely try them again. The driver was in training and had someone teaching him. They were both helpful to me. Bus was 10 minutes late arriving at Grand Californian Hotel. We were at Disneyland Hotel for 25 minutes before leaving for LAX. It took 25 minutes to load a disabled person. We were concerned that we would miss our flight, fortunately we did make it in time. We were 20 minutes late arriving at LAX. Not sure why bus was late arriving at our hotel as there were only about 10 people on bus to begin with. My bus was very late - more than 30 minutes after the scheduled time. Hopefully this was an unusual situation. Glad that I had booked an hour earlier than what should have been necessary. Lesson learned : have good margins when planning your trip. Air conditioning only worked at some of the seats, and it was warm! There were tv screens...it would have been nice if something was playing on them (as I thought that was included in the description). Otherwise, it was very convenient, on time, and a great way to get to the airport (for a good price). 45 minutes late for pick up. Called dispatcher and was told it would be only a few minutes late. Harold is a top driver with significant customer service skills. The bus did not arrive at pick up point and we have to go to Disneyland hotel so we can go to LAX. The only problem was that my ticket said "outside Terminal # 1" so I walked all the way from the International Terminal to # 1 - would have been helpful to know that the bus picks up at every terminal! The bus driver was really nice and funny! The bus was great, no complaints. The issue we had was with booking the trip through GotoBus.com. I called the Disneyland Resort Express number 2 days prior to us leaving to confirm the details and I was told that there was no bus pick up at our hotel (Castle Inn and Suites) that we needed to walk down the street to the ART bus stop instead and that we should go at 11:30am not 12:30pm that I booked and that my printed receipt said. The operator I spoke to said that I was given the wrong information from the 3rd party (GotoBus.com) and had I not called to confirm, my family and I would have been standing outside our hotel with no bus arriving. I think I'll book directly through Disneyland Resort Express the next time I'm there. Excellent service! Would use it again. The bus ride was great. Comfortable. Booking with gotobus however was not good. Booked online and the place that the booking told us to go to-the Fairfield inn Anaheim at 740 on march 15th was incorrect! We waited and waited no bus. I called the Disneyland resort bus co directly and was told that they don't pick up there. So we missed our bus, and had to walk to another hotel, thank goodness we didn't miss our flight because we had to wait over an hour for the next bus. Disappointed in the whole process. Fast and convenient- definitely will use this service again! Excellent service. Very glad to have it. The bus ride was great! We took it from LAX to the Anaheim convention center and it had great timing. Only negative thing I bought a ticket and it told me the bus would pick me up at the Fairfield inn at Disneyland and that wasn't a stop for the bus. Luckily the staff was very helpful and got me to where I needed to be even though I missed the bus.